Home/PK Simpson Blog/What do the courts consider in a Family Provision claim? What do the courts consider in a Family Provision claim? Family Provision claims enable you to challenge a Will if you feel you’ve been inadequately provided for out of the deceased’s estate. An inheritance dispute is often the last thing on your mind when you’re grieving the loss of a loved one. The death of someone close to you is a stressful experience, and emotions often run high during this time. Judges consider various factors when deciding on a Family Provision order. 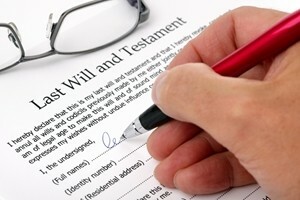 Unfortunately, contesting a Will may be the only option if you believe the deceased failed to make adequate provisions for you in their estate. You are likely to feel particularly aggrieved if you’re a spouse or child of the person who passed away. In NSW, you can pursue a Family Provision claim under the Succession Act 2006 to see whether or not you’re entitled to a larger share of the Testator’s estate. However, there are many factors the courts often consider before making a ruling, including your eligibility to launch a claim. Who is eligible for a Family Provision order? You must also ensure your Family Provision application is made within 12 months of the date that the individual died. However, the courts can allow breaches of the deadline if you have sufficient cause. While many claimants settle inheritance disputes before they reach the courts, you should prepare for the possibility that your case will go before a judge. Therefore, it is important to contact an experienced contesting Wills lawyer as early as possible in the process, as they can give you the appropriate guidance and gather evidence on your behalf. These are a few of the issues the courts are likely to review, but each case is unique, so it can be difficult to predict your chances of success without seeking expert legal advice. Make a Family Provision claim. Only eligible people can pursue Family Provision claims. The NSW Supreme Court recently decided in favour of the plaintiff regarding a Family Provision claim. In Carluccio v Ruiz , the claimant was awarded $50,000 from her mother’s estate after she was left only $500 in the original Will. According to court documents, the value of the estate after liabilities was estimated at $375,000. The plaintiff was the second eldest of seven siblings, with her and her older sister both receiving $500, while the residue of the estate was distributed among the remaining siblings. Several factors were prevalent in the case, including the estrangement between the plaintiff and her mother prior to the latter’s death. This breakdown was due to the claimant retaining her share of her late father’s estate. The judge also considered the financial circumstances of the plaintiff, which he deemed poor in comparison to her other siblings, who were all comfortably middle-class. “I am satisfied, for the purpose of s 59(2) of the Succession Act, that provision ought to be made out of the estate of the deceased for the maintenance, education and advancement in life of the plaintiff,” Justice Geoff Lindsay explained. In addition to announcing the $50,000 Family Provision order, Justice Lindsay also capped the claimant’s costs at $70,000, with the expenses paid out of the deceased’s estate. By PK Simpson Lawyers| 2018-03-14T09:22:30+00:00	January 18th, 2016|PK Simpson Blog|Comments Off on What do the courts consider in a Family Provision claim?